Stewart Concrete Masonry is Pennsylvania’s top concrete driveway contractor specializing in all kinds of concrete work (concrete patios, driveways, sidewalks, new construction slabs, repairs and much more) for the best price in Erie, PA. Thanks to their versatility, aesthetics and ease of maintenance, beautiful concrete driveways are fast becoming commonplace in most homes. However, even the most compact driveways do present several problems—getting sunken or uneven, leading to costly repairs. Not to worry, we are the leading concrete driveway experts in the area for a reason. If you’re considering installing a concrete driveway in Erie, PA, then you need knowledgeable concrete contractors you can rely on. Stewart Concrete Masonry is reliable and provides the highest value service at affordable rates. From basic home driveways to decorative concrete driveways, we are the most reputable driveway contractor Erie has ever had, and we truly enhance your home’s value and look. With our many years of experience in the concrete business, no concrete driveway construction project is too big or small for our experienced professionals. We are specialists who ensure each task receives the highest level of attention necessary to deliver exquisite results. 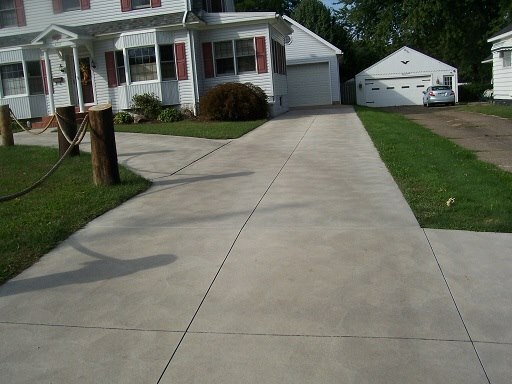 Experience the best decorative concrete driveway in Erie, PA the industry has to offer! With every driveway Captain Concrete completes, we know for sure that your happiness and expectations for custom concrete driveways tailored to last a lifetime will be met. 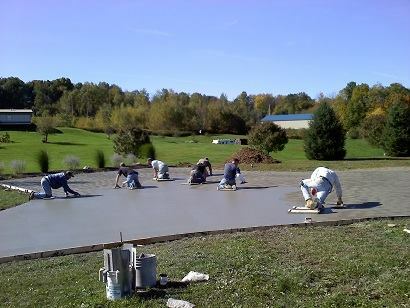 Are you looking for the most reliable concrete driveway contractors in Erie, PA to help you with your project? Well, Stewart Concrete Masonry is a reputable concrete company known to be prompt and dependable, always serving clients in Erie, PA with work ethics, friendly customer service and exceptional results. Our driveway contractors pride themselves on offering accurate estimates, affordable prices as well as get your job done safely and on schedule; whether newly installed or replaced, not job is too big or too small for us. As one of the leading concrete construction companies in Erie, PA, we strive to offer superior quality work at prices you can afford. Whether you want a parking lot for your new home, patios or a foundation slab, our licensed and bonded experts have got you covered! As the #1 listed concrete contractors, we guarantee you topnotch craftsmanship and excellent customer service each and every time. If you’re considering resurfacing your soiled, sunken or uneven concrete driveway, trust most experienced concrete driveway contractors in Erie to meet your requirements. © 2018 Stewart Concrete Masonry. All Rights Reserved.